Your little princess will be waving her magic wand and looking regal with her own Personalized Pretty in Pink Princess Wallet. This adorable wallet is perfect for any girl beginning to shop the mall with her own money. Present your royal princess with her own Princess Wallet as a thoughtful birthday or Christmas gift. 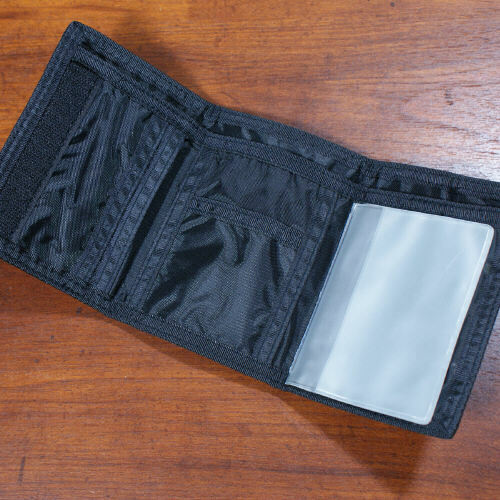 Your Custom Printed Princess Velcro Wallet is made from Black Tri-fold Nylon and measures 4.5" x 3.1". Includes FREE Personalization. 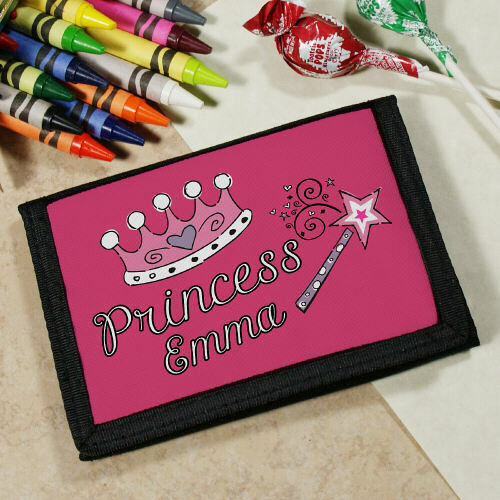 Personalize your Pink Princess Wallet with any name. Bought these for our grand daughters. I think they will love them. Additional Details Personalized Kid Gifts from GiftsForYouNow.com are perfect for Birthdays, Christmas or any special event. We have a large collection of Custom Children Keepsakes and Unique Kid Gifts all at very cheap prices.